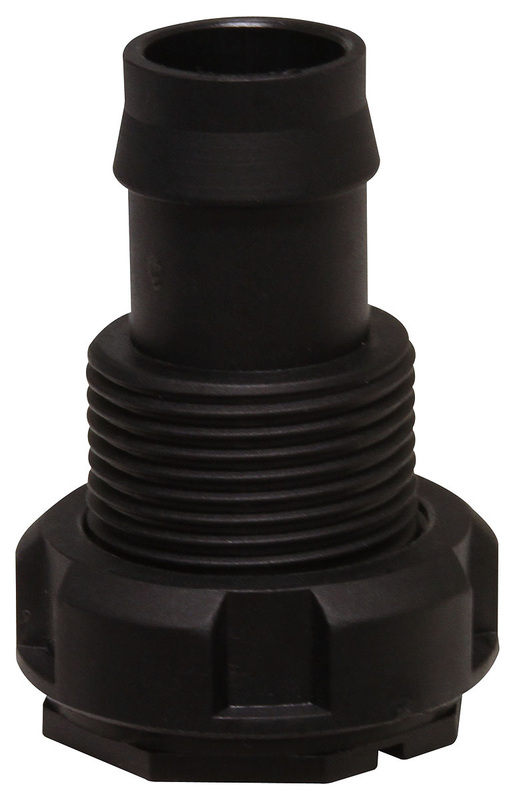 This 1” Barbed Ebb & Flow Bulkhead Fitting is great for do-it-yourselfers. It is barbed on one side to fit standard 1" flexible tubing, including our Sunleaves flexible black tubing, and it is threaded (female) on the other end to accept 3/4" male threaded screens and couplers. 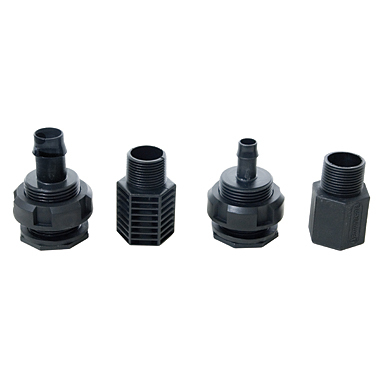 Our 3/4 inch threaded inlet screen is a perfect fit and offers an extremely affordable solution for many needs.